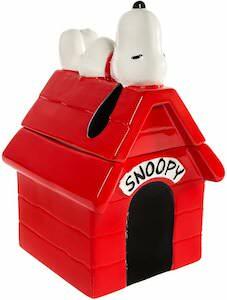 If you like cookies as much as a dog does then you just need this Snoopy dog house cookie jar. The cookie jar is the famous red dog house that Snoopy has and his name is on the front and on top you can find Snoopy while he takes a nap and dreams about amazing adventures. 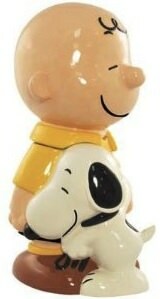 The Peanuts cookies jar is ceramic and looks amazing and you can lift the top of the dog house to get access to the cookie storage. 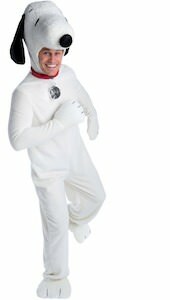 No longer do you have to eat all the cookies but if you keep doing so then you can always store other things inside the Snoopy cookie jar.